A pretzel is a type of European-descended baked good made from dough in soft and hard varieties and savory or sweet flavors in a unique knot-like shape. Pretzels can be small or big, hard or soft. They have a knot-like shape made by bringing together the ends of a long strip of dough and twisting them back. Choosing: When dying hard pretzels, try to find a bag without too much broken pretzels in it. 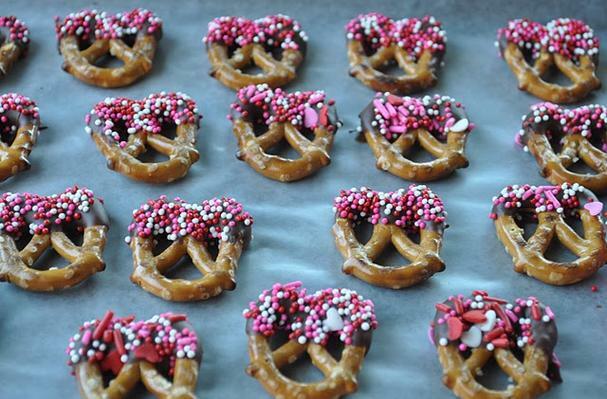 Hard pretzels can be stored in a container, in a dry cool place. History: There are numerous accounts on the origin of the looped pretzels, as well as the origin of the name. Most of them agree that they have religious and/or Christian backgrounds and were invented by monks.